We have selected this case for its originality, manufacturing qualities, and the company's dedication. Le Thiers by Chambriard is manufactured in the Thiers region by artisan cutlers using the finest materials. The French name of each wood is engraved under the knife's bolster. 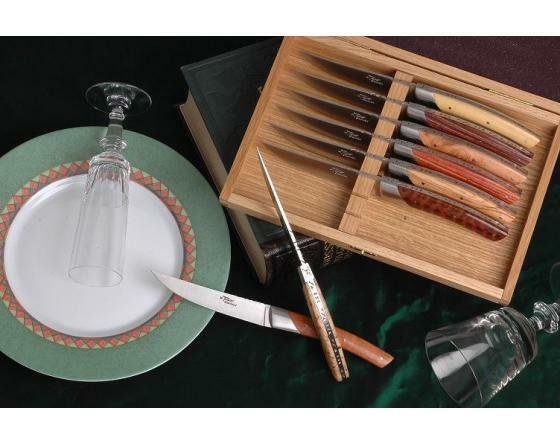 Your dinner guests will be impressed by these knives. These natural wood-handled knives are not dishwasher friendly.